Renault said in a statement its governing bodies were now "actively working to find the best solution for the future governance of the group, with a view to preserving the company's interests and strengthening the Renault Nissan Alliance". The statement comes a day after French Finance Minister Bruno Le Maire said that if Ghosn was prevented from doing his job "for a lengthy period of time, I have always said that we have to move on to a new stage. This is now the case". French daily Le Figaro said Sunday was a likely date, but on Thursday no invitations had been sent out to board members who must be informed 48 hours before a meeting. 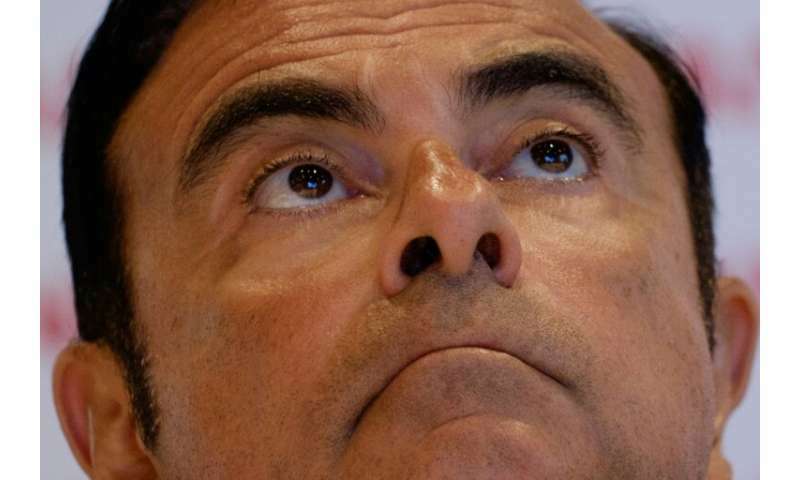 Since his stunning arrest on November 19 the auto tycoon—who still officially heads up Renault—has languished in a Tokyo detention centre, facing questioning over allegations he under-reported his salary and tried to shift personal losses on to the company. Last week he was formally charged on two of the counts and his request for bail was denied. Even his own lawyer has admitted he is likely to be kept behind bars until a trial—which could take six months. His legal team said they would now appeal to the Supreme Court. With the latest rejection he faces at least a two-month period in pre-trial detention. This can be extended almost automatically by one month at a time.